A classic roller shade is most of the times all you will need, to control the heat and the shade. Hitech-shades work proactively to find new products on the market to help you choose the best option for your home. 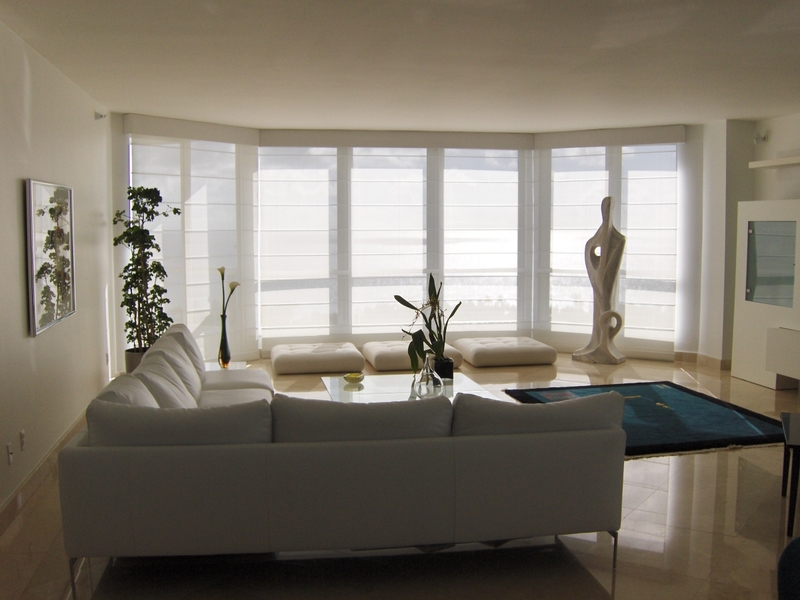 Room – darkening roller shades are the simplest, most effective, and economical way to bring a solution to your needs. They provide privacy, and also blackout most of the light and are available in the light-filtering or darkening variety, and they can be raise and lower easily with a remote control. They can be also used alone or with a complimentary window treatment. With beautiful fabrics, which can fade when exposed to too much direct light, a UV shade is a great option to protect your furniture and floors of the devastating effect of sun light and keeping your room cooler and more comfortable. Blackout roller shades are an inexpensive way to darken a room. There are many different blackout fabrics available, and some are even washable. Drapery panels on the sides of windows will seal off any light creeping in around the edges of the shades. If you want complete privacy a black out Roller Shade will be the solution.